Mark Lawrenson has accused Mesut Ozil of producing an impressive derby performance merely to put himself in the shop window. The Arsenal playmaker was named man of the match for his influential performance in their 2-0 victory over Tottenham Hotspur at the Emirates Stadium last weekend. 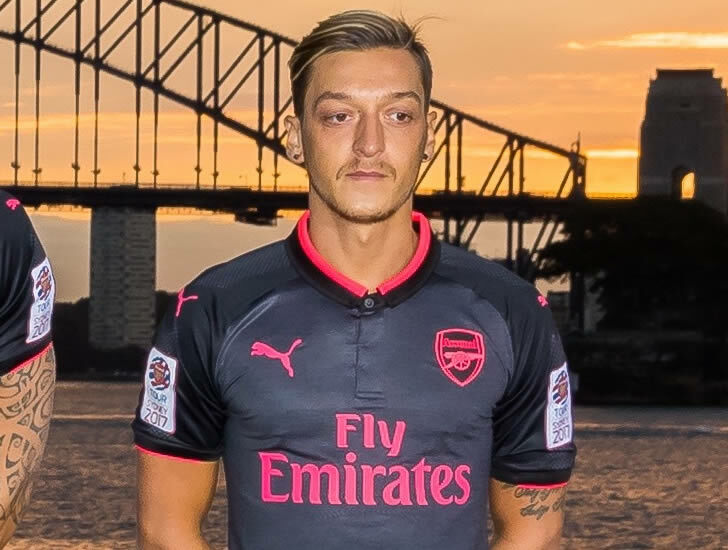 Germany international Ozil produced a brilliant free-kick to tee up Arsenal’s opener as Shkodran Mustafi guided a header past Tottenham goalkeeper Hugo Lloris. Ozil’s current deal is set to expire at the end of the 2017-18 season but the World Cup winner has been linked with a potential move to Manchester United. The German playmaker, who missed Sunday’s 1-0 win over Burnley due to illness, has hesitated over signing a new deal with Arsenal much to the irritation of some Gunners fans. The 29-year-old was criticised for his poor performances at the start of the campaign as Arsenal suffered heavy losses to title rivals Liverpool and Manchester City. Former Liverpool defender Lawrenson suggested Ozil’s derby performance was more down to his desire to put himself in the shop window ahead of January. “It says a lot about his attitude. Ozil is showcasing himself,” Lawrenson told BBC Radio 5 Live. Arsenal were 2-1 winners against title holders Chelsea in the FA Cup final back in May.